If you are thinking about trying fertility treatments to help you conceive, you will likely undergo a variety of tests to determine the source of your infertility. However, many couples undergo dozens of tests only to come up with few answers. Known as unexplained infertility, such a situation can often be quite frustrating for everyone involved. Unfortunately, it is quite common and can sometimes hinder the fertility treatment process. Unexplained fertility simply means that your health care providers cannot find any medical explanation for why you are having fertility issues. There are two groups of people who usually get diagnosed with this frustrating problem: those couples who are simply unlucky, and don’t have any biological problems interfering with pregnancy; and those couples who do have a medical reason for infertility, but this reason cannot be found due to insufficient medical knowledge or technology. Whatever group you fall into, a diagnosis of unexplained fertility is sure to be difficult. A diagnosis of unexplained infertility will have a lot to do with the thoroughness of your health care provider and your fertility clinic. The more tests that are performed, the more likely it will be that a reason for your infertility will be found. The fewer tests that are performed, the more likely you are to be said to have unexplained infertility. There are a number of things that may underlie your unexplained infertility. Through patience and careful testing it may be possible to attribute your infertility to one of this underlying factors. Fertility treatment can then proceed based on the diagnosis. Sometimes, unexplained infertility is actually caused by tiny abnormalities in your fallopian tubes. Your fallopian tubes contain structures that help to sweep your eggs inside. The fimbria are finger-like projections located at the ends of each fallopian tube. They grab onto your ovaries, helping to coax your egg inside. Your fallopian tubes also contain cilia, tiny hairs that help to direct your egg down into your uterus. Sometimes, there are problems with the fimbria or cilia, which can prevent your eggs from being fertilized. Though your ovaries house thousands of eggs, not all of these eggs are suitable for fertilization and division. Eggs need to be of the proper shape and size and must contain the right chromosomes to be successfully fertilized and implanted. If your egg quality is compromised in any way, you may have problems getting pregnant. During ovulation, it is possible for your eggs to become trapped in the sac that protects them. While maturing, your eggs are kept inside of a tiny membrane, called a follicle. When stimulated by certain hormones, this follicle bursts to release an egg. The egg then moves into the fallopian tube and the leftover membrane becomes the corpus luteum. Sometimes though, a follicle can become a corpus luteum before rupturing, trapping your egg inside. As a result, ovulation never occurs. After your egg has been released from your ovary, a phase, called the luteal phase, begins. During this phase, the corpus luteum begins to produce progesterone. This hormone stimulates your uterus to prepare the endometrial lining for implantation. Sometimes though, there are problems with the levels of progesterone. These levels may rise too quickly or too slowly, or progesterone may not be produced for a long enough period. As a result, the endometrium doesn’t become properly prepared for implantation. Your immune system is designed to protect you from invading cells and organisms. It is responsible for killing off disease and infection. Sometimes though, the immune system can become confused, and begin to kill your body’s natural cells. Many women have immune systems that attack their own eggs. Your partner’s immune system may even be attacking sperm cells, causing them to stick together, become immobilized, or even die. Infertility can sometimes be explained by the presence of infection in the body. A disease particle called T-strain mycoplasma can hide in the body, causing infertility. However, these particles exist in such small numbers that they are undetectable through examination. In order to become fertilized, sperm must be able to break through the outer shell of you egg. Sometimes, even healthy-looking sperm cannot break through the egg in order to create an embryo. 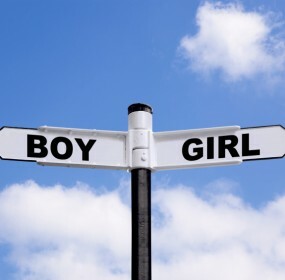 Emotions can play a large role in both female and male infertility. The entire reproductive process is controlled by one organ – the brain. Negative thinking or emotional distress can sometimes interfere with the brain’s ability to control this process. In particular, depression has been linked in various studies, including one from Brown University and another from the University of California, San Diego, with decreasing a woman’s ability to get pregnant. While experts aren’t exactly sure how or to what degree emotions play a role in infertility, an increasing number of infertility clinics are supplementing their treatments with courses that focus on changing the way you think. You might want to think about redecorating your home or office in order to create a more relaxing environment in which to focus on your thoughts and on your body. Known as the mind/body connection, studies have found that women with infertility issues enrolled in special classes designed to improve thought patterns are more likely to conceive compared to women who do not take these classes. However, the influence of emotions is still debated as not all experts agree that emotions can induce infertility. Fertility treatments can be used to help increase your chances of getting pregnant, even if your reproductive endocrinologist has been unable to find the source of your infertility problems. Here are some treatments that you may wish to consider. If your ovulation cycle is irregular, fertility drugs can help to trigger the development of more eggs. Tis will allow more than one egg to be released each month, increasing your chances of fertilization. Intrauterine insemination is one type of assisted reproductive technology. IUI can increase the chances of sperm meeting with your egg. Sperm from your partner is placed in a catheter after careful preparation. This sperm is then released into your uterus in hopes that it will fertilize one of your eggs. In-vitro fertilization is often helpful when there is a problem with the fallopian tubes or ovaries. Eggs are removed from your ovaries and fertilizied in a dish containing your partner’s sperm. Once the eggs have developed into embryos, they are then implanted into your uterus. Alternatives to IVF are also available. There are pages and forums withing this site that are for paid members’ eyes only. You may become a DREAM GIRL today and visit our Infertility Forum to discuss matters realted to Infertility and also check out the Ask the Doc section and as a DREAM GIRL, feel free to post any questions that you may have for our resident MD and his staff, Dr. Daniel Potter of HRC and his Nurse Lori.